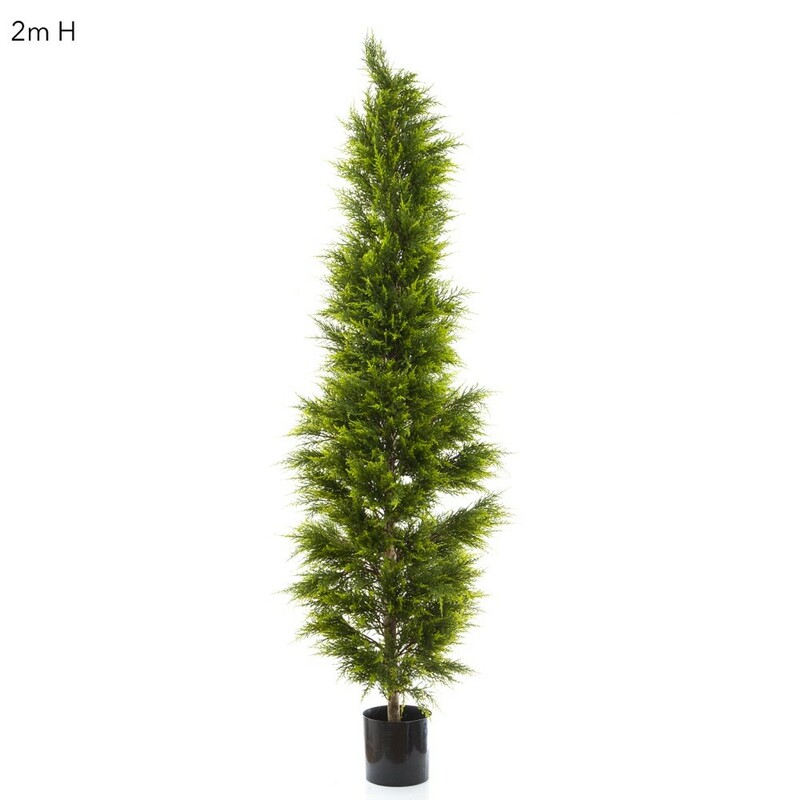 Our Cypress Pine Trees are made with the best quality and attention to detail. 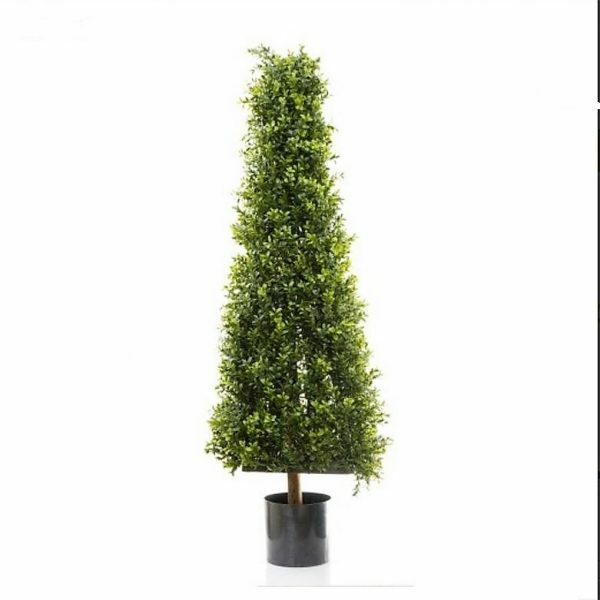 We use very realistic foliage when making these Cypress Pine Trees and real timber stems. Our Cypress Pine Tree 2mt on natural timber trunks are made with the best quality and attention to detail. We use very realistic foliage when making a Cypress Pine Tree and real timber stems. When you purchase a Cypress Pine Tree they will come to you supplied in a standard black plastic garden pot and you then simply fit them into your own decorative pot. 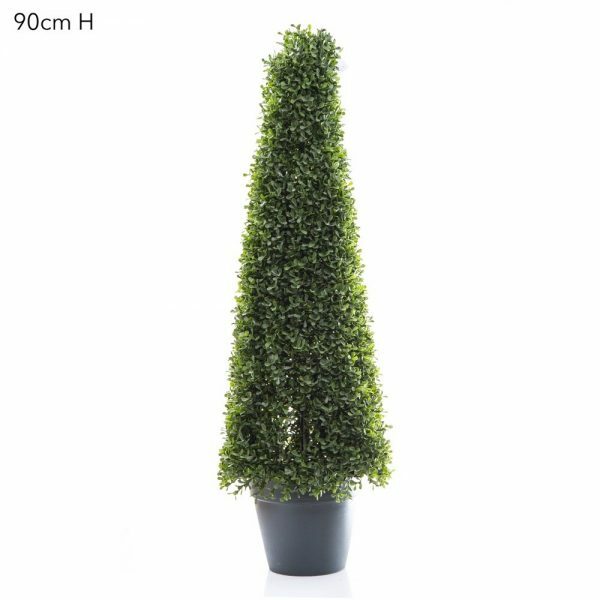 Because these guys are made with very durable foliage and although they aren’t meant for outdoor use, we’ve had many happy customers who’ve given us great reports of plants that have been placed outside for years and still look quite good. 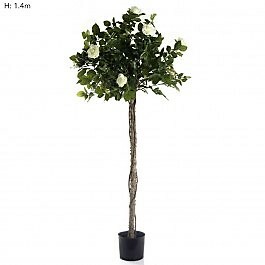 So if you’d like a hassle free and maintenance free plant that will last for years…this is the one.